The knowledge and capability of work health and safety professionals will be enhanced with the development of four additional chapters of the OHS Body of Knowledge for Generalist OHS Professionals. Sponsored by Safe Work Australia the additional chapters will address the topics of work health and safety jurisprudence, organisational culture, risk and decision making and user centred and safe design. In announcing the development of the new chapters the Australian OHS Education Accreditation Board, Registrar Pam Pryor acknowledged the value the new chapters will add to the education and professional practice of work health and safety professionals. First released in 2012 the OHS Body of Knowledge describes the core knowledge expected of Generalist OHS professionals. It underpins the accreditation of university level OHS education programs, professional certification and continuing professional development for OHS professionals. Employers and recruiters are also able to use the OHS Body of Knowledge also as a guide for selecting qualified work health and safety professionals. The development of the new chapters will be managed by the Australian OHS Education Accreditation Board. Input into chapter structure and content will be sought through topic specific technical panels and professional workshops. “The OHS Body of Knowledge not only assists in providing work health and safety professionals with the appropriate capabilities to effectively perform their role, it is also an important component in delivering confidence in recognising those competent to provide OHS advice and support,” said Ms Pryor. “The Australian OHS Education Accreditation Board is committed to help achieve the vision of Healthy, safe and productive working lives in the Australian Work Health and Safety Strategy 2012-22 (the Australian Strategy). 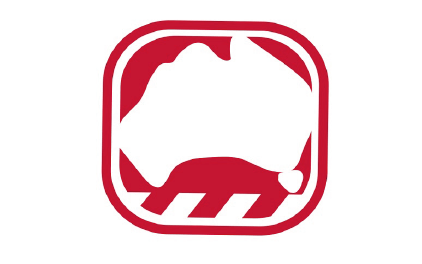 Initially developed as part of the OHS Body of Knowledge Project the copyright is held by the Safety Institute of Australia with the Australian OHS Education Accreditation Board having a custodian role responsible for currency and further development. The OHS Body of Knowledge for Generalist OHS Professionals is freely available to OHS professionals for their individual professional activity and is available at www.ohsbok.org.au. A license is required for commercial use.